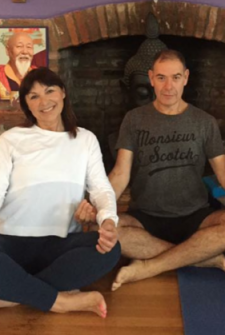 Sally-Ann and Michael have been yoga teachers since 2014 after studying with Mayura Yoga. 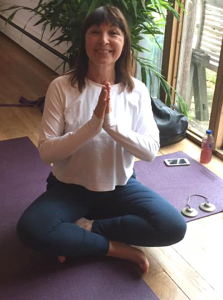 Sally-Ann says “We discovered yoga during a six months back packing experience through South East Asia, during a visit to a Thailand we came across a yoga retreat on one of the islands, we intended to stay for a few days but that turned into a few months. We have been active yogis ever since. 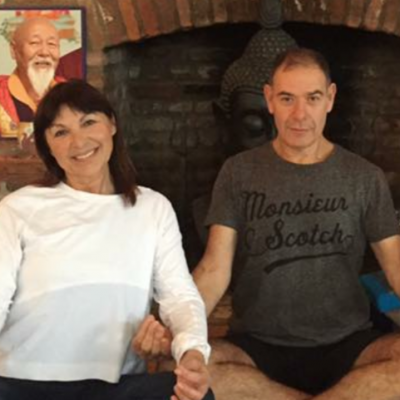 During our retreat I offer Hatha, Yin and Yoga Nidra accompanied with Meditation. Yoga has been the best thing in my life, I’m so passionate about yoga, I truly feel that it is a wonderful life changing experience! it is not possible to finish a class and not feel better than when you started”. Michael is offering a Qigong and Tai Chi taster, that has many physical benefits. The slow, extended weight shifting helps improve bone density and joint stability. The movements also stretch and strengthen muscles, especially your core. studied physiological change can help lower your blood pressure, heart rate, breathing rate, oxygen consumption, adrenaline levels, and levels of the stress hormone cortisol. If you like the concept you may want to find a practice close to your home”.